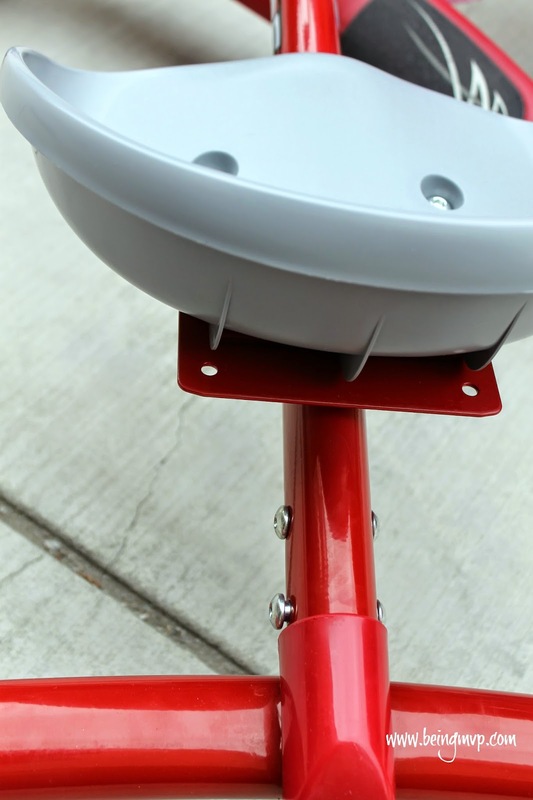 Disclosure: I received the Ziggle from Radio Flyer for review. All opinions are my own. 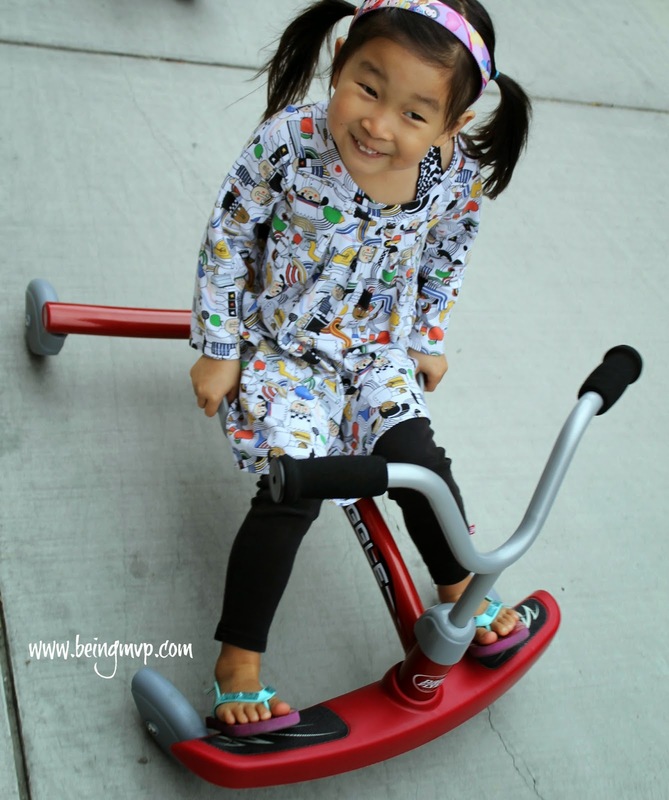 Radio Flyer is a brand that has some really cool products for kids and they have introduced a fabulous Ziggle just in time for the good weather. 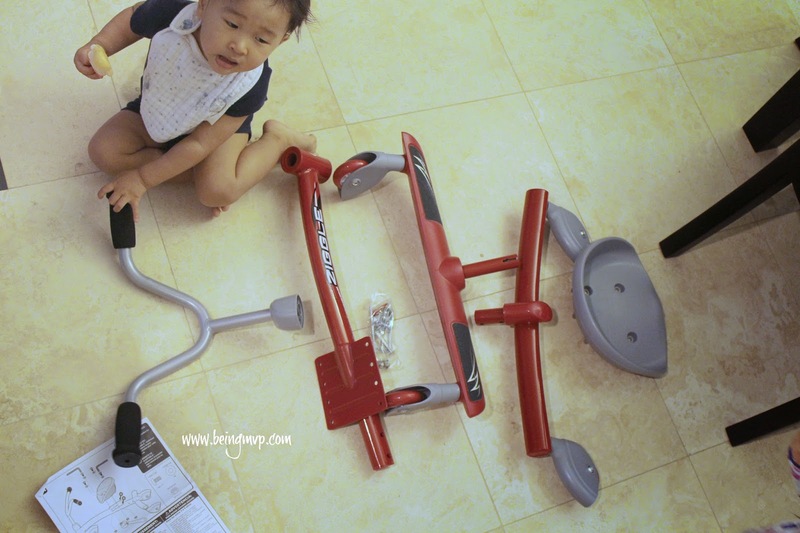 It was relatively easy to put together by myself and was ready in minutes. It did take a wee bit longer since Mason kept on trying to sit in the seat before I had the entire thing fastened. The concept is simple yet provides loads of fun. 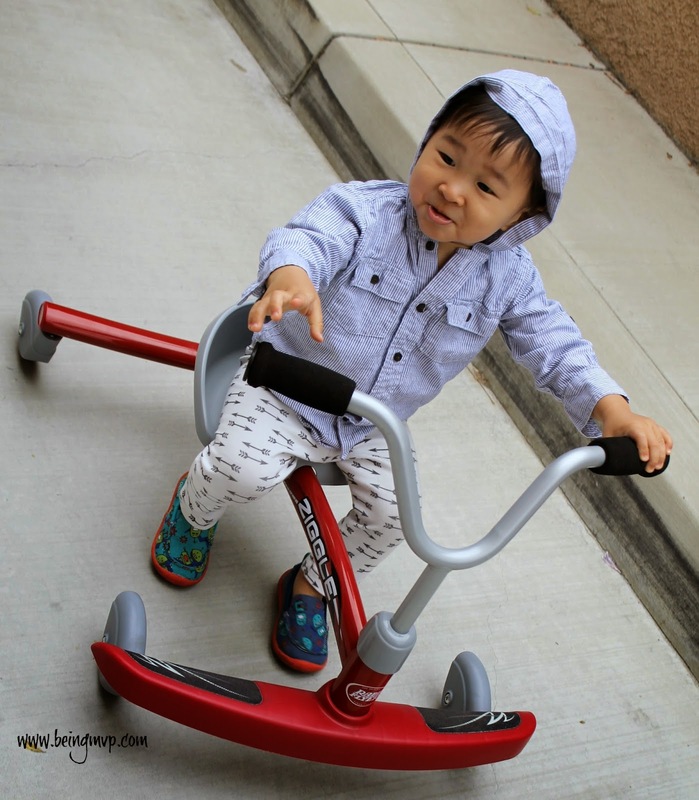 Your child simply sits, grabs the handlebars and start to wiggle back and forth. The Ziggle is then put into motion and depending on how advanced (and fearless) they are, they can even do a full 360 degree spin. Kenzie is pretty good at ziggling and can even go without hands. The solid steel frame is sturdy and children 3-8 years and up to 81 lbs can have a go at the fun. There is grip tape at the feet so your child has stability when ziggling even in flip flops. The seat is easily adjustable for your growing child which is a plus as both Kenzie and Mason can enjoy the Ziggle for quite some time. Check out all the fun Kenzie and Mason are having on the Ziggle! Even though Mason is almost 2 and below the recommended ago, he is a pro at getting the Ziggle to move by just using his feet and pushing off. The kids were riding on the Ziggle for a few weeks inside the house because the weather has been unbearably hot and they had a blast. They were absolutely more excited about taking it outside to reach greater speeds while ziggling about. Priced at just $39.99 + free shipping, the Radio Flyer Ziggle is a must have for great fun this summer! Connect with Radio Flyer on Facebook and Twitter! Do you children like to play outdoors? Do you think they would like to get a Ziggle? This looks like so much fun! Do they make an adult version? Lol! My nephew would go nuts over this cute Radio Flyer Ziggle. How cute and it looks like so much fun and easy to ride.